Today's post comes from Montessori Piano Teacher. I've been following Laura on Instagram for a while now, and was thrilled when she started her blog at the beginning of the year. The following post is one of my favorites! I know I said I would introduce you to some of my activities I use in lessons, but first since it is the start of the school year, I think this topic is an important one. Up until about age 11 your child will need hands-on help with their practice. Your help with practice will make a difference to your child’s progress. Go through practice notes with your child and assist them where they need help. Ask your child what their favourite piece is and to play it first (it is important to start the practice session off with something they can play on their own). If you think your child is ready to practice with not as much supervision, stay close by and listen, even if you are in another room. If something doesn’t sound right go and ask your child to play that part again (while you sit and listen). Help your child organise their practice time. Practice needs to be part of your everyday routine (it is like brushing your teeth!). It needs to be done! Set a practice time each day. It might be before school or after school after they have had their afternoon tea. Shorter practice sessions to start with and gradually increase them until they are practicing around 30mins a day. Practice directly after a lesson. Your child will remember what is expected from their lesson if they practice after their lesson. Encourage your child to practice. Give them a choice would you like to dry the dishes or practice the piano. Attend your child’s piano concerts. Invite friends and family over to listen to your child play. Put aside some time to sit down and listen to them practice, giving them your full attention. Buy your child a quality instrument that gives your child the ability to make beautiful sounds (not a toy piano from the toy department). Go to your local music store. If you are unsure with what to buy, ask your child’s teacher (there will be some great affordable options). Your child will progress a lot more if they are practicing on a quality instrument. Avoid practicing the day before or on the day of their lesson. Stick to the practice routine. Place the piano in a room that is central without distractions (turn off the tv, occupy younger siblings). Try to avoid tucking the piano away in its own room. You and your child are most likely to forget about practicing if the piano is not seen everyday. Help your child to decorate the piano area. 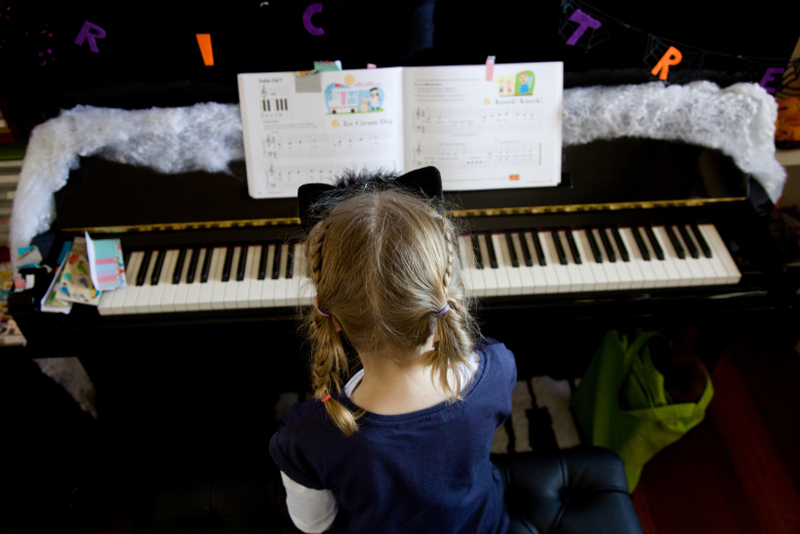 They might like to play their favourite toy on top of the piano or display a picture they have drawn on the wall next to the piano (It is important to help your child make the piano area their own space, so it draws them to practice). If you are unsure about what the teacher has written for practice, ask! In order for your child to progress there needs to be a teacher, parent, student communication triangle. Check in how lessons are going with your child’s teacher. Ask for help if your child is finding something difficult at home. Let the teacher know when practice weeks have gone extremely well (or not so well). I hope you all enjoyed this post. Next time I think I will introduce some of my activities. Happy reading.